The overloaded boat tipped over Thursday as it got to about 50 meters (55 yards) from the island’s dock. People carrying their goods from a busy market day prepared to disembark, unbalancing the ferry which turned over. Horrified fishermen and others watched from the shore. 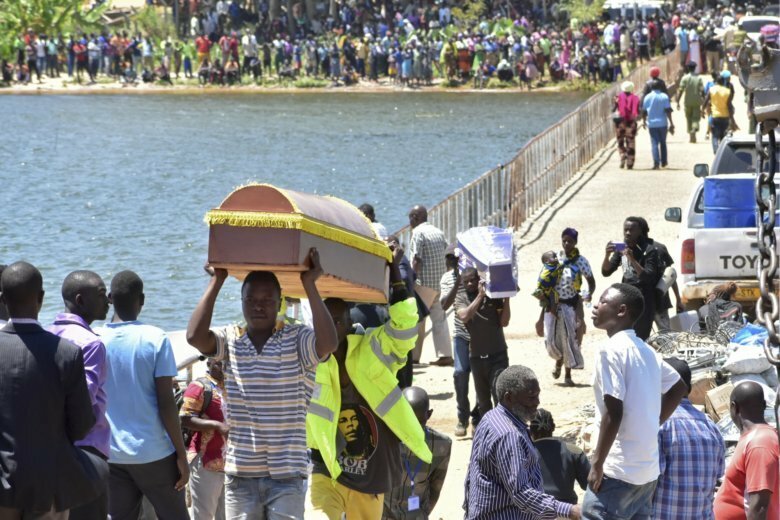 Identifications have been made for 172 people who died in the boat tragedy, Tanzania’s Minister of Works, Transport and Communication Isack Kamwelwe said. The bodies of 37 others have not yet been identified, he told the broadcaster. At least 40 people were rescued, officials said. “This is a great disaster for our nation,” Magufuli told the nation in a televised address, announcing four days of national mourning. AP writer Tom Odula contributed from Nairobi, Kenya.